There are so many wonderful indie artists out there these days. 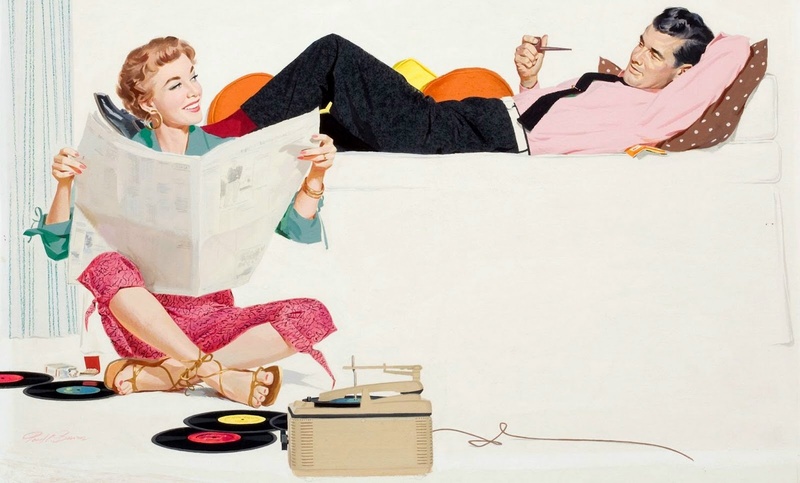 I could spend, and oftentimes do, peruse the plethora of self published musicians and song writers on soundcloud, bandcamp, YouTube and the wondrous discoveries on Pandora, radio air play, jango are melodiously melded in pure originality. I have dedicated this page to help put out some buzz on the ones I have stumbled on and left a better person for having heard them. “Born on the south side of Chicago in 1986, singer, songwriter and multi instrumentalist, Shawn James had a kind, hardworking Mother and a gambling, drunk and often abusive Father. His conflicted home life can still be heard in his music which can be full of contrasts — dark and light, anger and joy, earthy and airborne – while remaining gritty and real. Singing in church growing up, he was draw…n to the emotional, ethereal power of music and its ability to affect people. It was there that he found his escape and learned how to harness his unique, soulful voice. After playing in bands since the age of sixteen, Shawn moved to Fayetteville, Arkansas in January 2012. Attracted to the beauty of the natural state and even more impressed by Fayetteville’s diverse and thriving music scene, he began performing every chance he got. The singer, songwriter – who also plays guitar, piano and numerous other instruments — literally turned himself into a one man band. Regardless of where he was playing — on the street, in a bar or at a house party – Shawn’s intensity, inimitable voice and hard-driving folk/soul/blues hybrid made for a performance you wouldn’t soon forget. 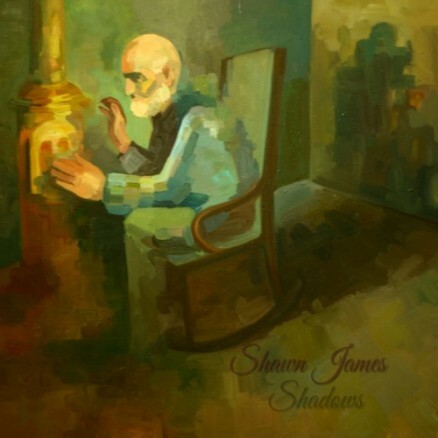 By August of 2012, Shawn James had recorded and released his first full-length album, SHADOWS. A local videographer, Anna Hutchison, made music videos for the songs Midnight Dove and The Shadow while another song from SHADOWS, The Wanderer, was used in a Harley-Davidson commercial. Around this time, friends introduced Shawn to musicians Chris Overcash (violin, viola) and Baker (mandolin, tenor banjo) who were soon asked to join the band, which took on the name Shawn James & The Shapeshifters. “One of the reasons I came up with the name ‘Shapeshifters” is because musicians have a tendency to come and go,” James explains. “It also ties in perfectly with the theme of the trilogy EP’s coming out this year, plus I’ve always been interested in mythology and folklore, so the name stuck.” After embarking on a two week tour of Colorado, the band released a live video showing them performing a cover of John Legend’s Who Did That To You which went viral, garnering an impressive 400,000 plus views on numerous sites. With the addition of Nick Shoulders (banjo, harmonica), Phillip Farris (bass) and Nick Futch (drums), Shawn James & The Shapeshifters is now undeniably a full band. “I can do so much more musically with the band,” says James, who continues to write all of the music. “We all love to play and our combined energy adds a new dimension to the performance.” The Shapeshifters first recording as a band was THE WOLF (February 2013), the first release from an ambitious trilogy of connected concept EPs — THE WOLF, THE BEAR and THE HAWK — written by Shawn James. A haunting, folk story of a man who was raised by wolves, THE WOLF is an unforgettable musical experience due to the combination of Shawn’s ingenious songwriting and the hauntingly, beautiful orchestral layers of The Shapeshifters. The second concept EP in the Trilogy, THE BEAR (June 2013) tells the tale of a big, ferocious Bear as he awakes from hibernation consumed by hunger and heads south to hunt…not knowing all that awaits him. Written and recorded at a solar powered cabin in the Ozark Mountains, Shawn wrote THE BEAR playing slide on a metal body resonator guitar. The rowdiest — and also the darkest — of the trilogy, THE BEAR hits hard, resonating with a raw, swamp saturated folk/rock/soul/blues sound that keeps you on your toes till the end. The music video for the song, Hunger (also filmed by Anna Hutchison), provides THE BEAR with a visual that’s as primal, provocative and unforgettable as its sound. THE HAWK, which was written on the piano, is scheduled for release in the late Fall. When he began writing THE WOLF, which was inspired by the painting that appears on the EP’s cover, Shawn had no idea that he was working on a part of a trilogy. “The idea slowly evolved to include three different animals idolized by Native American culture,” he says. “A lifelong fan of myths and legends — particularly the art and ideals of Native American myths — I wanted to create a unique story that was able to include many genres and still maintain a deeper, conceptual meaning throughout.” At the end of the year, all three concept EPs will also be packaged together as a set, THE SHAPESHIFTER TRILOGY, which will be released on CD and vinyl. Shawn James brings extreme passion to his music. You feel it in the imaginative, highly nuanced songwriting and see it in the powerful live shows where there’s never the slightest hesitation and nothing is held back. And, most importantly, you can hear it resonate in Shawn’s most powerful instrument: the unique, soulful voice that sounds like it is literally being torn out of his heart…and it is something you won’t soon forget. This Southern California beatsmith’s production style is a mixture of obscure jazz samples, heavy beats, and live orchestration. Question’s music can be defined as an interpretation of a timeless era, purely fueled by Jazz & Soul. This Southern California beatsmith has been spinning hiphop, funk, soul and jazz breaks since the early 90’s. QUESTION’s natural progression to beat making can be attributed to collecting records from an early age. His production style is a mixture of obscure jazz samples, heavy beats, and live orchestration. Past projects include an album entitled “Study Guide” along with good friend & fellow producer Freddie Joachim, and was released by Japan’s renowned DJ Tonk on his label Milkdipper Music. His last solo release was entitled “Standard Translation”. This instrumental album was his personal contribution to the golden era of jazzy-hip hop and was exclusively distributed by Introducing Label in Japan. In addition to music production, he is also a Creative Director and has designed all of his releases including album art for fellow Mellow Orange artist Freddie Joachim, The Sound Providers, and UK producer Eric Lau to name a few. QUESTION is currently working on new projects under Analogue Studies so stay tuned for future releases.